9x12, xviii + 132 pp. Francesco Maria Barsanti (ca.1690–1775) was born in Lucca but worked for most of his career in England and Scotland. 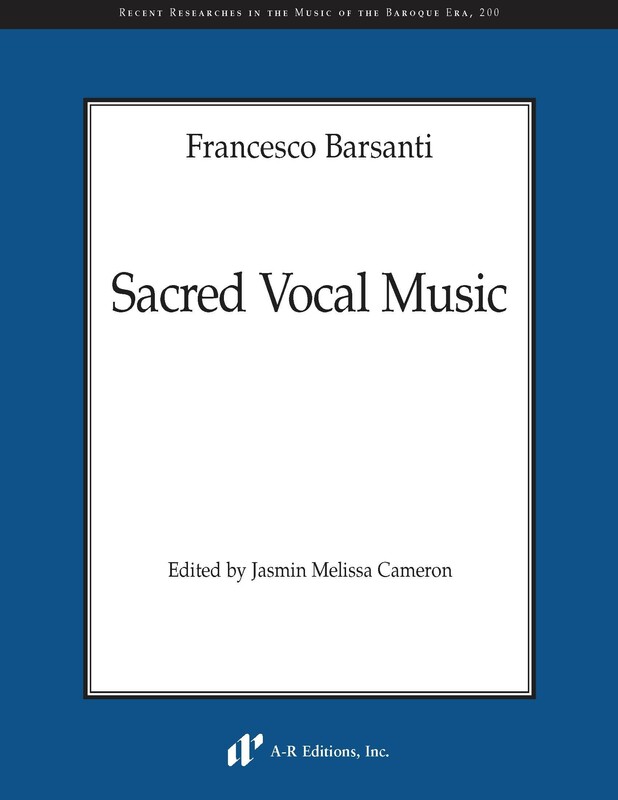 During his time in London, Barsanti was increasingly drawn, as a copyist and as a composer (the first activity acting as a vehicle for the second), into the cult of “ancient” music, as represented by the Academy of Ancient Music, of which he probably became a member, and the Madrigal Society, which he joined in 1759. The culmination of this involvement was the publication of his Sei antifone, Op. 5 (ca.1760), a collection of neo-Palestrinian motets for five and six voices (with instrumental bass support) that are far more “antique” in style than the normal stile antico product of the time. Intended for concert or recreational rather than liturgical use, they were well regarded in their time. This is the first modern edition of opus 5 (together with four miscellaneous motets), noteworthy for a highly original and distinctive musical language.